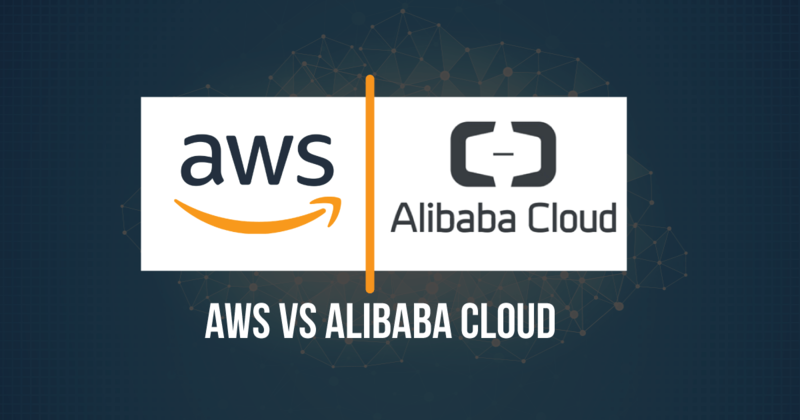 Alibaba Cloud or AWS – Which is better for your business? In the realm of cloud computing, AWS, Microsoft, and Google are the top leaders. With cutting-edge offerings and reliable cloud services, they cover all your cloud requirements and online operations. But the cloud space keeps growing as the new players add on the floor. Alibaba Cloud is also one of the vital players in current business cloud services who have gained market attention in recent times. Amazon launched its cloud division, AWS, in 2006. Since then, AWS kept becoming bigger with constant innovation and addition of a wide range of cloud solutions. Alibaba Cloud, a subsidiary of Alibaba Group, launched in 2009, began its operations by serving small enterprises with cloud solutions similar to AWS. Alibaba is now a leading cloud service provider in China, serves to large-scale enterprises and provides a vast range cloud computing services. In terms of the cloud functionalities, AWS is the largest, and since Alibaba Cloud is, in a way, still in development stages, it offers global services such as high-performance, elastic computing power in the cloud and services like data storage, relational databases, big-data processing and content delivery networks. Some distinctive services are Mongo DB, Anti-DDoS, Analytic DB, and Table Storage beside others, but all of them are not available globally. With Anti-DDoS technology, Alibaba cloud provides better security to your web applications. Data security is better guaranteed at Alibaba Cloud as they have high-level international certificates, which includes Gold Certificate of cloud security recognized by British Standards Institute. Alibaba Cloud’s advanced big-data backed technology offers faster access and operations to cloud data. – While Amazon is the biggest e-commerce giant in the U.S., Alibaba is in China. As per NASDAQ Amazon is valued around $400 billion and Alibaba’s market cap is a little over $250 billion as per its NYSE share price. Nature of their core businesses and the scale of their cloud computing requirements urge massive computing necessity. Progressively, their experience in handling this enormous workload has gained them confidence in offering cloud services to others. – According to Synergy Research Group, AWS is at the top of cloud service providers list, and Alibaba is ranked at fifth position. The ranking is with respect to the cloud platform, infrastructure and private cloud services published in the most recent Cloud Infrastructure Market Share report. Both of these have seen an enormous growth recently. From the final quarter of 2016, as the total worldwide spending increased by 46% in cloud infrastructure services, AWS and Alibaba cloud have increased their market share at the expense of smaller cloud providers. In the most recent quarter, AWS made a steep growth in earnings, a total income of $3.53 billion. It also maintained the dominant position in terms of revenues that exceeded the next four competitors down the line combined. Alibaba Cloud, on the other hand, earned revenue of $254 million, which certainly is a good number for an emergent company. As the small players continue to struggle in the cloud market, so the Alibaba’s rapid rise becomes more remarkable. As discussed above, Alibaba showcased an impressive growth, but at the same time, one should keep in mind that when the market share is small, it is much easier to grow a big number than when the market share is large. Also, Alibaba grew at a rate higher than AWS primarily due to the fact that Alibaba Cloud is the dominator in China, which has always been a relatively promising and fast-growing market as of today. Having said that, the revenues from the cloud computing business are significantly lower for Alibaba Cloud when compared to AWS. However, it is worth noting that Alibaba’s rapid growth allowed it to appear in the top five cloud service providers list for the first time. Although Alibaba is way behind the AWS and where it is standing in the cloud industry but Alibaba’s explosive growth numbers, channelized and strategic efforts clearly express its participation in the race to $500 billion. The Cloud gets more secure for our Clients: Rapyder is ISO 27001 Certified! © 2019 Rapyder Cloud Solutions Pvt. Ltd.